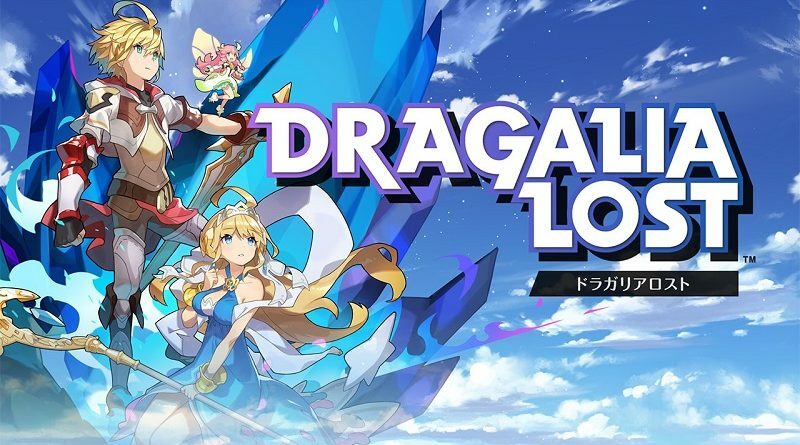 On this page, you will find all there is to know about the Software updates for Dragalia Lost on Android and iOS (originally released on September 27th 2018 in Japan, the United States, Maccau, Hong Kong, and Taiwan, and later in the rest of the world). Looking for the various Events and Content Updates? Check out this page instead! Currently experiencing issues with the game? Click here for the list of issues currently impacting the game! 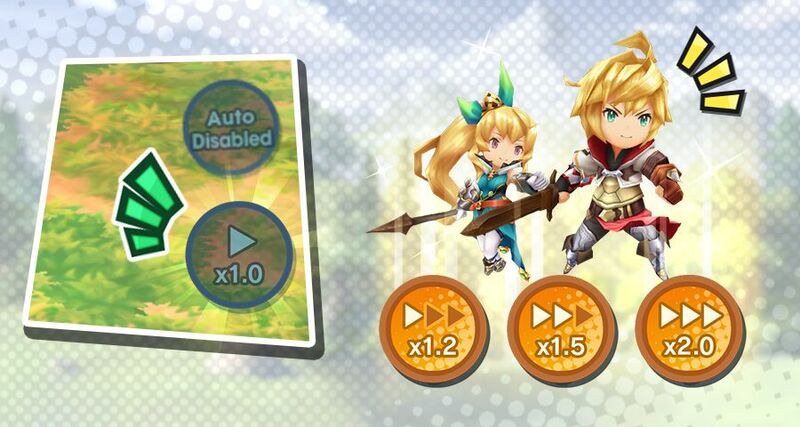 How to download updates for Dragalia Lost for Android and iOS? To check that you have the latest version installed, launch the app: you should see the version number at the bottom right corner of the screen. Additional notes: the udpate will be downloaded automatically from March 26th 8PM PT / 11PM ET – March 27th 3AM GMT / 4AM CET / 12PM JST. If you download this update, you will no longer be able to be matched up with players using Ver. 1.5.1 (and vice-versa). ・Multiple Skip Tickets can be used at once. Up to 10 Skip Tickets (and the stamina required to use them) can be spent at once to clear the same quest. ・Added mana to the daily bonus for the Avenue to Power recurring events. Note: Mana will be added on Feb 25 22:00, 2019(PT). ・When moving to the Dragon’s Roost, the last dragon that you gave a gift to during your previous visit will be shown. ・You are less likely to become disconnected from Co-op Play when your device is suspended under certain conditions. ・In the Halidom, you are able to collect items from facilities that are under construction. Note: The amount of items that are produced during construction is based on the production time of the facility before it was leveled up. ・A notification is shown on the Castle and Castle Grounds buttons when a facility in the Halidom has completed construction. ・In the Craft portion of the Crafting screen, when you tap View Tree for a weapon, then go back to the Crafting screen, you will return to the weapon category that you had selected before tapping View Tree. ・Unified the terms “decreases damage” and “reduces damage” in wyrmprint ability descriptions to “reduces damage”. The following additional features and changes will be applied in data updates after Feb 27 21:30, 2019(PT). ・If an adventurer is afflicted with freeze, the freeze affliction will be removed when they receive one attack by an ally. ・When an adventurer is afflicted with stun or sleep and a certain length of time passes, if they receive an attack accompanied by the stun, sleep, or freeze affliction, then the received affliction will be removed. ・When participating in Co-op Play as a guest, the game will switch to solo play (and you may continue playing the quest) if the connection to the host is interrupted. ・We have updated the list of materials that can be exchanged in the Imperial Onslaught Treasure Trade found in the Shop. Insignias can now be traded for royal insignias of the same element, and vice versa. Ex: Vermilion Insignias can be traded for Royal Vermilion Insignias, Royal Azure Insignias can be traded for Azure Insignias, etc. ・In The Imperial Onslaught: Battle in the Dornith Mountains, the attack from the boss skill Phantom Assault may miss. ・In The Imperial Onslaught: Battle at Mount Adolla, the action marker that appears when the boss skill Phantom Assault is used may not appear under certain conditions. ・In every Imperial Onslaught quest, the boss may be moved by an allied adventurer’s attack while it is in the middle of its attack action, resulting in the attack area not matching the action-marker area. ・When an adventurer’s HP is exactly 30% of their maximum HP, the effect of the wyrmprint ability Last Offense +X%, that triggers when HP is at or below 30%, may not trigger. ・If the buff provided by Addis’s skill Dignified Soul ends while he is in dragon form, then the Bamboo Cutter skill will continue inflicting bleeding instead of poison. ・If an enemy is broken in the middle of performing a specific attack, then the enemy may remain floating in the air. 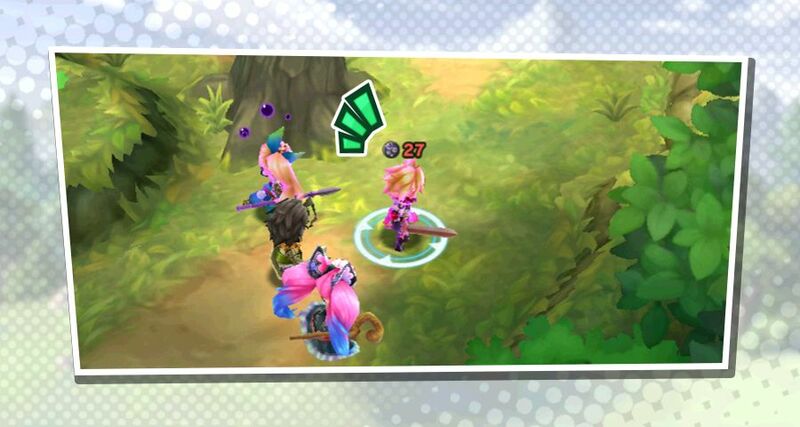 ・If an adventurer is not moved after a quest begins, then adventurers who are a part of your team other than the one you’re controlling may also be unable to move even after being attacked by an enemy. ・If an adventurer is moved after a buff skill is used, they may temporarily stop moving. ・If an enemy is too close to or directly below an adventurer, then the adventurer’s skill may miss. 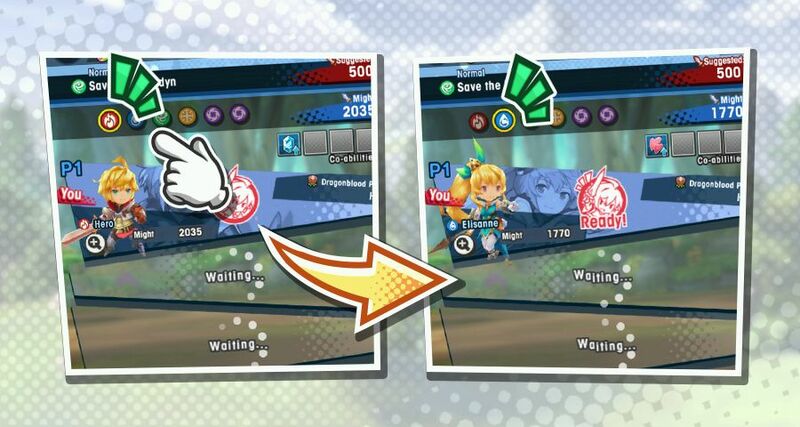 ・On the Co-op Play screen, if you have insufficient getherwings and restore them, then the icon on the screen that indicates insufficient getherwings does not return to its normal color. ・On the quest-clear screen, the Friend Request button can be selected even for a player who you have already sent a request to. ・When playing a quest with a time limit in Co-op Play, if an adventurer is defeated and another player clears the quest while the continue screen is open, then the remaining time will not stop counting down. Fixes for the following issues will be applied in data updates after Feb 27 21:30, 2019(PT). ・If the adventurer you control uses a dagger and the Auto feature is enabled, then the adventurer may use a skill even when the attack is out of range. ・The Might shown on the A Heartfelt Gift wyrmprint is lower than it should be. The new event Valentine’s Confections will start Feb 13 22:00, 2019(PT). 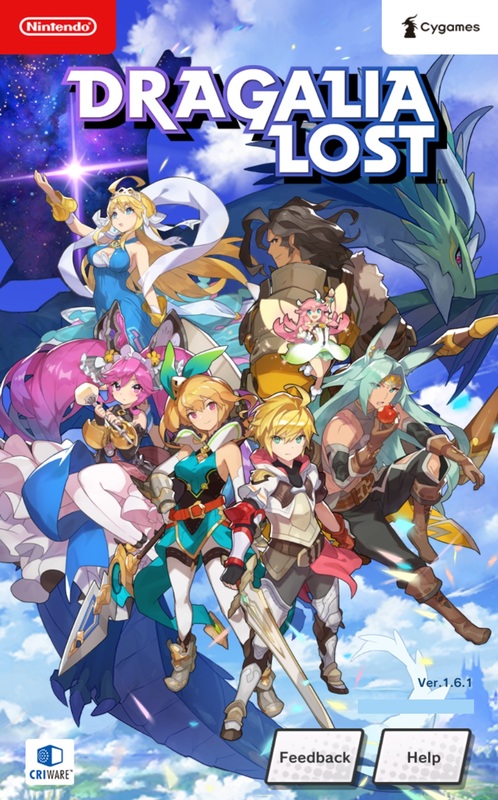 ・It’s now possible to play sound from background applications (music applications, for example) while playing Dragalia Lost. 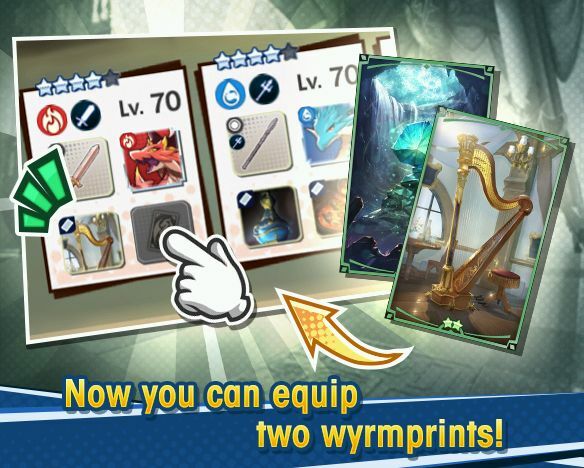 ・You can now trade up to 20 of each Greatwyrm wyrmprint in Treasure Trade. ・An animation displaying the matching attunement bonus will now display on the icon on the edit team and quest preparation screens when an adventurer’s attunement matches that of their equipped weapon and dragon. Wyrmprints will not be considered. ・A penalty will be applied to players who’re inactive for a certain amount of time during co-op, regardless of whether the player is the host or the guest. If a player receives a penalty a certain number of times consecutively, they’ll be unable to participate in co-op for some time. If they are participating in co-op as a guest, they will be forced to exit the quest. ・The number of Glorious Tempest and Volcanic Queen wyrmprints you can acquire from Treasure Trade has been increased. In addition to the fully unbound wyrmprints (one each), you can also trade for wyrmprints that haven’t been unbound (up to 15 of each). 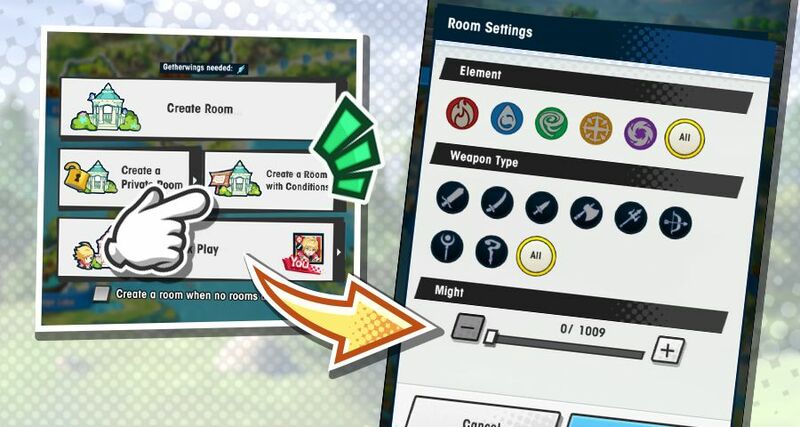 ・When you’re unable to find a co-op room using Find a Room, you’ll now be asked if you wish to automatically create a room. ・Using Julietta’s Force Strike under certain conditions while playing the Battle at the Wartarch Ruins: Master event quest in co-op would cause communication to be disrupted. ・The “Increases max HP by X% for the remainder of the quest” buff from Sinoa’s Custom Concoction skill was removed from the HP display of other on-screen adventurers when she uses the Custom Concoction skill again and gets a result other than the “Increases max HP by X% for the remainder of the quest” buff. ・The Notices from the Support Team item under Alerts has been removed. If you wish to change your notification settings, please change them from your device’s app notification settings. ・ Made it so that the Energized effect is applied to continuous recovery skills and damage due to afflictions or debuffs. ・ If you select a Helper from a player who is not your friend and send a friend request after clearing the quest, then select Repeat and send a friend request once more, it becomes impossible to progress. ・ After clearing a quest, if you send a friend request to a player who has reached their friend limit, it becomes impossible to progress. ・ The Gauge Accelerator ability is more effective on enemies in the overdrive state than it ought to be. ・ Fixed other minor issues. ・ It may take time for the update information to be reflected in the store. ・ Players may not be able to perform the update due to their device’s data cache being full. ・ If you are unable to perform the update, restart your device and then attempt the download from the store. ・ Chapter 7 of the main story, Trek to the Aquapolis, has been added! ・ Resetting the Social Reward for playing co-op! ・ Adventurers will now use their skills when playing with Auto enabled. ・ Changed the UI on the summon page for when you have a summon voucher. ・ Changed the UI for switching adventurers on the Edit Teams screen. ・ Added a feature to the Shop to enable purchasing as a batch. ・ Adjusted shapeshifting such that using a skill while transformed no longer decreases shapeshift time. ・ Sometimes “”Support Code: 3002″” displays during co-op and forces users to leave the room. ・ Users are able to stay in a room for a long time after selecting Yes when asked whether to battle again in co-op. ・ Some enemies continuously use certain attacks when the host is defeated in co-op. ・ When users break a boss enemy who was afflicted with Freeze, the boss enemy starts to move. ・ For traditional Chinese only, “內容有誤” displays when linking an account. ・ Master difficulty added to Avenue to Power and Avenue to Fortune. We will be adding Master difficulty to the Avenue to Power and Avenue to Fortune event quests. Note: Participating as a guest in co-op requires two getherwings. You’ll be able to earn even more fabulous in-game rewards in these difficulties, so raise your might to challenge them! We will be adjusting the stamina expended for each difficulty to make it easier to challenge them. Additional notes: this is a Data Update, downloaded automatically upon launching the game. The presentation movie of the “An Enchanting Ensemble” summon showcase would sometimes not play at all. Fixing this issue may cause the movie to play once more even for users who have already seen it. The volume settings weren’t properly applied to Cleo’s voiced lines in the event quest “Struggle in the Snow”. High Midgardsormr’s “Storm Chaser” deals more hits than it should in version 1.2.0. Upgrade animation is unskippable after upgrading an adventurer, weapon, dragon, or wyrmprint once. Some of the skill descriptions corrected to better reflect their actual effects. The AI of adventurers in your party has been adjusted so that they use attacks and skills more often during quests. The Fafnir enemy appearing in the recurring event quest Avenue to Power (Beginner/Intermediate/Expert variations) no longer guards. The number displaying the amount of eldwater needed to strengthen a co-ability is now easier to see. For the upward swiping gesture on iOS devices, it now changes to Multitask during quests after inputting the gesture two times. Defeated enemies now disappear from the minimap immediately. The display speed of Notices has been increased. 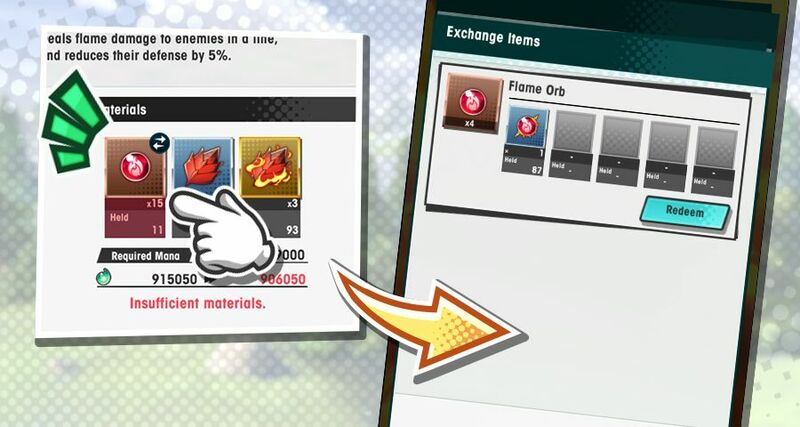 The rates displayed in the item summon’s Appearance Rates have been changed to display up to the thousandths decimal place. The summoning rates themselves are unchanged. The number of skip tickets you can acquire in a Daily Bonus has been increased to three. The number of skip tickets that you can buy in the shop has been increased to three in one day. The maximum held number of skip tickets has been increased to 99. Adjustments were made to the power of Hawk’s skill Savage Hawk on stunned enemies. Adjustments were made to Nefaria’s skill Night of Antiquity concerning its power, and power against enemies afflicted with blindness. All of the gifts in the Dragon’s Roost were displaying as bread. While leveling up the Smithy, its level wasn’t being factored into the total Facility Level. Changing characters when one of them has the afflictions stun, freeze, or sleep, then switching back once the affliction has healed, was causing controls to be limited. For skills that grow stronger based on the number of buffs on a character, only sustained healing spells weren’t being factored in. Under specific conditions, you could be struck by status afflictions while shapeshifted. When choosing to repeat a mission from the quest results screen, the amount of stamina that should have recovered due to passage of time was not being reflected. For all of the items on the Friends screen, the might shown on the character that you tap would not reflect the equipped weapon or dragon. Opening Notices during events would sometimes cause the Notices screen to be displayed lower than the menu, preventing players from pressing the Update or Close buttons. The limit for getherwings will be increased from 6 to 12, with the maximum able to be held at one time increased from 50 to 99. During raid battles, adventurer AI has been adjusted to perform more offensively. Guests in raid events can now receive a chance to participate in an Extra Battle after clearing an Expert Raid. During weapon crafting, a message will now be displayed when a weapon needs to be unbound. It now takes less time before an adventurer can move after performing a dash attack. The Auto function now carries over into the next quest. Camera distance adjustments made during gameplay are maintained. When using the optimize feature to optimize adventurers with the Adventurers (under Apply To) option checked, weapons and dragons that match the adventurers’ elements will be given priority. When using the optimize feature to optimize adventurers with the All (under Element) option checked, weapons and dragons that match the adventurers’ elements will be given priority. The amount and types of upgrade materials used when choosing Auto to upgrade weapons and dragons have been optimized. Tapping and holding the Castle button at the bottom of the screen will take you directly to the castle grounds. AI adventurers will move toward treasure chests when the Auto feature is enabled. Required might is now a condition to take part in raid events. Stat bonuses gained from equipping weapons, dragons, and characters with matching elements are now calculated into your team’s Might. Tapped facilities would sometimes immediately become deselected. Tapping and holding the Castle icon at the bottom of the screen on certain menus would cause the game to stop responding. Detailed information on helpers’ stats was not being correctly reflected at the start of quests. Attempting to switch to the Upgrade menu while transitioning to other menus would sometimes result in an error. The message “recommended might” was mistakenly displayed instead of “required might” at the start of quests in which your required might was too low. It sometimes would become impossible to progress in mana circles. Performing certain steps in a mana circle would sometimes cause the game to become unresponsive at the load screen. In the Helper Settings menu, the details screen for your chosen adventurer was not displaying the skill level. During co-op play, Zodiark would sometimes stop moving after a guest would give up. In the matching screen for co-op play, ability and element-buff values were not being reflected on the adventurer-information screen. Errors would sometimes occur when determining how much time was required to recover getherwings. Adventurers recovering from stun as a result of Verica’s skill could not perform normal attacks, dash attacks, force strikes, and dodges. The Sort by Element + Ascending order in the Friend List was not functioning correctly. In the Pending Requests menu, accepting or denying requests from the bottom of the screen would cause the list’s display to become corrupted. When looking at the detail screen for your friends’ adventurers, their equipment was not being displayed. In the Graphic Settings menu, selecting Good or Sharp was making Force Strikes difficult to perform. The English language display was displaying line breaks in the middle of certain words. Quests shown on the tips screens were displaying the incorrect suggested might. The facility level was not taking the smithy level into account when trying to level the smithy. Players can now set Quick-Turn options to on or off in the Game tab of the Options menu. 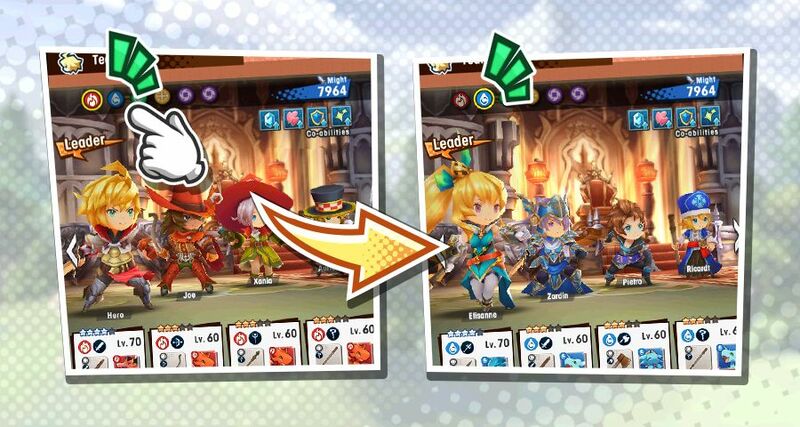 In the Upgrade menus, characters, weapons, dragons, and wyrmprints which have been upgraded to their maximum level will be indicated by a mask covering their icons. After a co-op game, the timer to choose whether to battle again with the same players or not has been shortened to 20 seconds. A camera button has been added to the Continue screen of co-op games, which allows you to spectate the battle. The movement arrow displayed when sliding your finger along the screen during quests has been shortened. The summon appearance rate screen’s layout has been adjusted. Additional notes: this is a pre-release version of the game. Game is not yet playable. Download size of additional data is reduced. Additional notes: this is a pre-release version of the game, and is not available to the general public.